GeoFlex Pro HP-Series HP30 and HP40 are co-extruded linear-low density polyethylene geomembranes developed for applications requiring enhanced flexibility along with a combination of high strength and impact resistance. 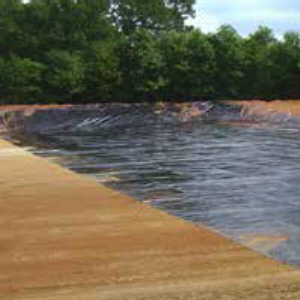 These elements are critical for the pliability necessary in reliable, above ground tank lining systems, as well as earthen pits and ponds. Available in Black/Gray or Gray/Gray. Click here for Product Data Sheet.